In almost every dream meeting that I have facilitated, I have always gotten the same recurring question. 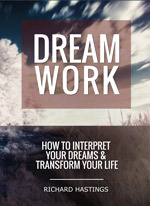 “Why can’t I remember my dreams?” I have answered this question in multiple ways which all have some validity to them. Forgetting your dreams has a lot of to do with attention. We know from research on memory that when you attend to something more fully you are more likely to remember it. So it is not surprising to me that almost everyone who comes to my meetings and asks the question about forgetting, has a dream that they remember the next night. They remember because they are attending now. The demands of the material world especially the world of work and the busyness of people’s lives also can be a major factor for forgetting. If you are not attending to your own spiritual life, but spending all of your time worrying about the material demands rather than your own development, this can also cause you to forget dreams as you have them. Students who do not sleep very much because they are stressed about school work often forget their dreams as well. Interestingly enough they start remembering them when they go on holiday. But this is not the fully picture of forgetting. Recently I was in Australia having dinner at someone’s house when the topic of dreams came up because they knew of my work in the area. So the question reappeared from someone and then I began to think that maybe the reason that we forget is because it is a strategy that the mind has learned so that we don’t have deal with certain uncomfortable truths or realities. I went back in mind to the time when I started forgetting people’s names. It was a subtle thing, not a complete forgetting. I was in a school that was undergoing some external evaluation that was obviously very biased even before the assessment process began. It was very much in the opposite direction that our department had wished the school to go, so we became targets in the evaluation. During the height of the process I remember feeling quite stressed and then names of people that I knew really well would disappear. Now it is some 15 years hence. I am asking myself the question, why names? Why did I forget people’s names? Why do I continue to forget people’s names? Here is my thinking about it. I am putting it out here for people to reflect and question because it is pretty interesting. Names represent people, their selves. Our department was not involved with school subject matter like mathematics or foreign language. It was only about the support and encouragement of the growth of the individual selves of the students. When I began forgetting names (selves), is when our department’s philosophy and practice began to come under threat. What I am thinking is that my ego recognized the threat, saw that if we would continue in the same manner, that we would all be eliminated. Then I started to forget names so that I would forget that we were dealing with selves. 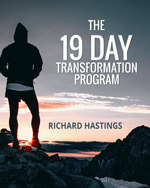 My mind learned to forget so that I wouldn’t be involved in the transformation of others. Our department did end up getting eliminated so the threat was actually real. I continue to forget names and this is because my mind learned how to forget in order to protect me. When I get excited about helping others do transformation work with themselves and it is in a setting where the authority can take it away, I forget a lot of names. When there is no threat, I remember people’s names. If I generalize my experience to all of the people who cannot remember their dreams, the conclusion is that their minds are protecting them by being good at forgetting. Dream content is about transformation, which never happens unless one deals with issues that the ego presents. At some point in the transformation process a trauma from the past will appear such as being constantly criticized, overly judged, abused, neglected or threatened. Without dealing with the problem, there is no way to know where the true self wants to develop and grow because the problem is the messenger for the understanding. In a dream the issue is presented in a very elegant, metaphoric and structural manner that allows for understanding to come out. If you are forgetting your dreams, your ego is protecting you from the transformation process so that you do not have to deal with the trauma. But it is also the same in a family or in the workplace in real time. You can forget your own self so that you don’t have to deal with the negative truth that resides there. It is a convenient way to cope. How many times have you heard people say to just forget about what happened, to leave it behind, and get on with your life? Forgetting is protection from having to deal with the fear, hurt, and sadness. I just watched a movie last night called “Conviction” which is the true story of how a young man was wrongfully convicted for murder by a corrupt police officer. His sister, Betty Ann Waters, committed herself to getting his conviction changed. It took her over 16 years which included her having to graduate from high school and get to law school. Most people, including her husband, told her to forget her brother, that he was guilty and would be in prison for life. But she held onto the memory of her innocent brother and persevered. Now he is free. The culture tells us to forget and we are for the most part very obedient. When I was in Cambodia, we went to museums and actual sites about the killing fields that happened there in the late 1970s. It is dreadful, horrifying, but it is something that we must see and remember so that we can question ourselves about how we allowed this to happen to ourselves. There are still so many unanswered questions in Cambodia, but we are much better at forgetting than we are of remembering. The forgetting continues and so do the Pol Pots. Dying is not a negative thing according to the Baha’i teachings so it is really not tragic that he moved on to another world. The wonderful thing is that through the process of helping her brother she has helped so many others. This is what happens. I just watched “Conviction” last night and then found on your website this morning a comment you had made about this movie. This was such an inspiring story that after the movie I went online to see if Betty Ann and Kenny Waters were in the news since his release. What I found was that 6 months after Kenny’s release from prison he died from a head injury after a fall. Some are commenting about the tragedy and loss about this situation. Betty Ann continues to work as a lawyer for the Innocence Project, helping other wrongfully-imprisoned individuals to be released and advocating for prisoners rights. Some people made comments on the sites indicating that this is such a tragic story but I think it is a wonderful story. Kenny believed in his sister, more than anyone else in the world. His situation and her selfless love for him enabled her to sacrifice so much in her perseverance to get through school and fight for Truth and Justice. Now, she continues to do the same for others and she is living a life of great service beyond anything she must have been able to imagine when she was a highschool drop out.